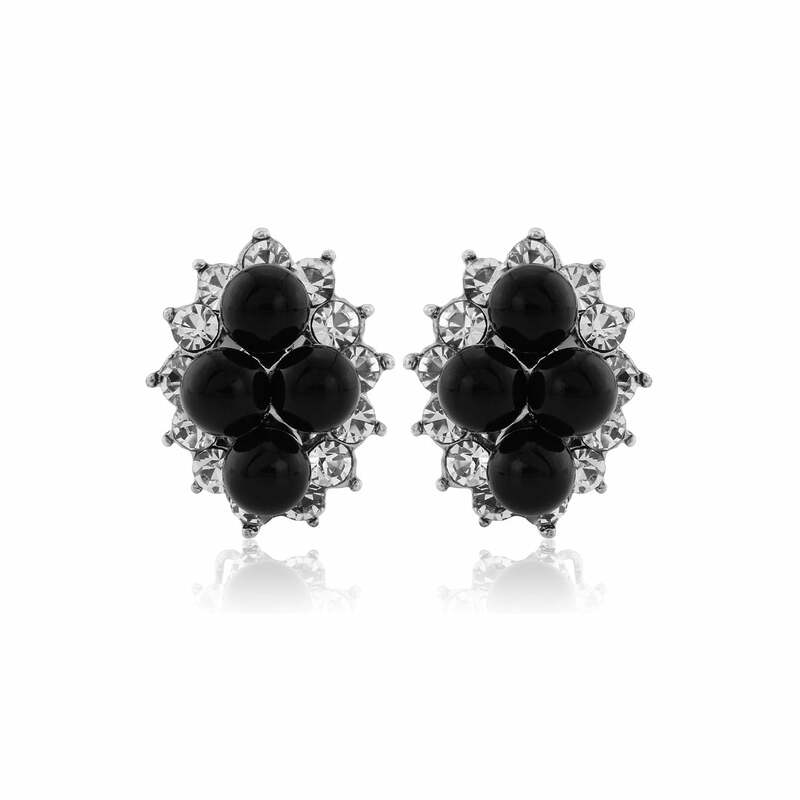 Oozing 1940s Hollywood style, these classic silver crystal & black pearl button clip on earrings are stylish and chic. Capturing the elegance of the fabulous Hollywood Starlet era, our Monochrome Elegance Clip On Earrings are stylish and chic. Featuring a cluster of jet black pearls set on silver tone surrounded by sparkling Austrian clear crystals this fabulous design bestows timeless glamour for day and evening wear. A fabulous choice for brides without pierced ears, Monochrome Elegance are the perfect clip on earrings for a black and white Hollywood theme. Both elegant and glamorous, they are a beautiful pair to accessory your whole bridal party. Team with a dainty black and silver pendant for bridesmaids wearing black or add a classic crystal bracelet for the Mother of the Bride.